At GurgaonBakers we create the perfect mouthwatering and decadent cake for your every occasion. We believe that your wedding cake should be the centerpiece of your wedding décor. If your style is more contemporary, we suggest you go in for a sleek, smooth and geometric finish. 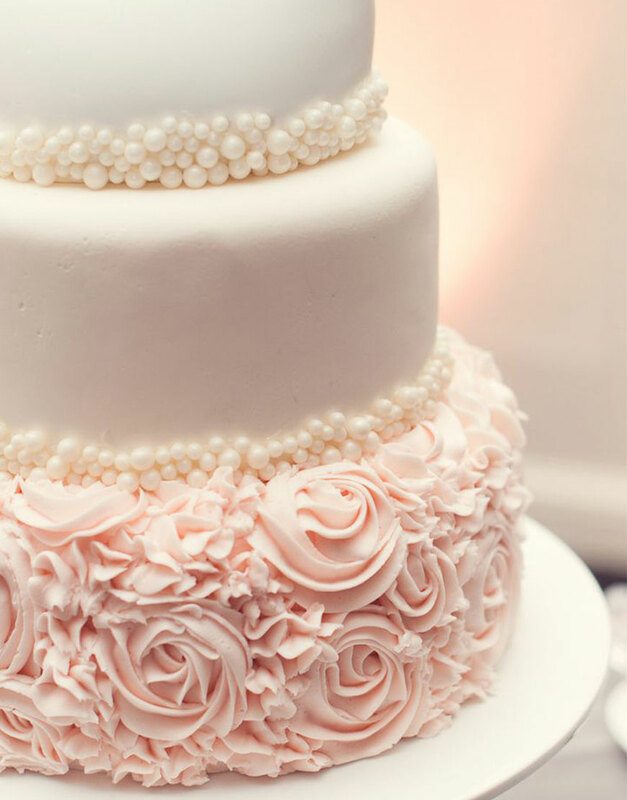 On the other hand, if you need something dainty and girly on your dessert table to flaunt your feminine side, then the “Ruffles, Pearls and All Things Girly Wedding Cake” is perfect for you. This cake is a combination of all pretty embellishments. It has a smooth, sleek finish with lovely pink rosettes and flowers, finally to glam up edible pearl beads are added to border each tier. This cake has three layers filled and frosted with buttercream and covered with peach fondant. This cake is customizable according to your requirements. When you choose GurgaonBakers, the best wedding cake designer in town, you get nothing but the best.